You’ve probably anticipated the move for a while, yet if you’ve finally received the go ahead from the estate agents – or your sale has come to completion – you will spin just trying to take in the amount of belongings you really have. It’s amazing how much we collect when comfortable in a home, and although most is sentimental and close to our hearts, moving is a great time to order the biggest spring clean for years. Aiming to throw away a third of your belongings is a must: starting in a new house with a clean slate, the memories will soon pile up with the clutter again. For women this is a dream; as you pack boxes full of clothes not worn for over five years ready to send to the charity shop, the burden of stuff releases its hold and a breath of fresh uncluttered air fills the lungs. Conversely, emptying a man’s garage may resemble teasing blood from a stone. What’s the Secret to efficient removal packing? Much like the inventory beforehand, the trick is organisation. Once you find out where to buy moving boxes, buy them by the bucket load. If you don’t know where to buy moving boxes, there are a few places to try. 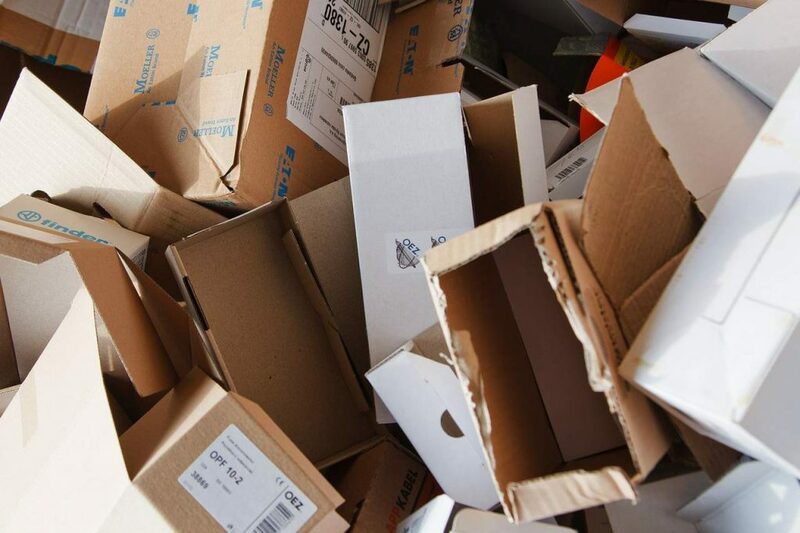 EBay always have flat packed boxes of all sizes and shapes at economical prices ready to deliver the very next day. Each box can be designated for small or large items and a package of 40 boxes should cost no more than thirty pounds. Remember, however, to buy parcel tape and a permanent marker. There is nothing worse than arriving at your new home and having to root through every box to find the kettle! It’s the fine details that make up efficient removal packing. How Can Your Removal Firm Help? Your removal firm may also offer boxes. Some may offer them free with the service, where others may charge a little extra. Also, if you don’t mind looking at where to buy moving boxes that are second hand for a few pennies or even for free your local butchers and grocers will happily hand them over. If you’re still stuck for ideas, take the boxes full of stuff out of the loft, and if you haven’t used it for over two years quite simply give it away! Voila empty moving boxes ready to be filled with important items like tea, coffee and sugar rather than size ten clothes you’re never going to fit into again and have since gone out of fashion! Once all boxed up, take on the organisers role and think efficient removal packing. There’s a place for everything, and everything should be in its place. You can never have too many boxes, even if they are filled only with the children’s teddy bears. Having them clearly labelled with a short list of contents under a huge heading of which room they should go in, will not only help your sanity but will also prompt the removal men to leave them right where they are going to be unpacked! It's important to book the right type of insurance! We know from experience that it's better to be cautious on these matters. Read our article below to help differentiate between the storage company and insurance provider.